Wal-Mart has named Instagram co-founder and CEO Kevin Systrom to its board of directors to help bring its staggering success online. The move is clearly an effort to try to take on Amazon, the web's number one retailer. Amazon (AMZN) is "teaching the world what's possible," said Wal-Mart CEO Doug McMillon at a conference in May. Wal-Mart's online sales grew at about 30% last year, topping $10 billion. But that's small beans for the company -- just 2% of its annual revenue. Many companies are driving sales by engaging with customers via sites like Instagram's photo-sharing network. Wal-Mart (WMT) recently posted a picture of Maroon 5's new album to its Instagram account, reminding customers that it's for sale. The post garnered about 550 "likes" and dozens of comments. 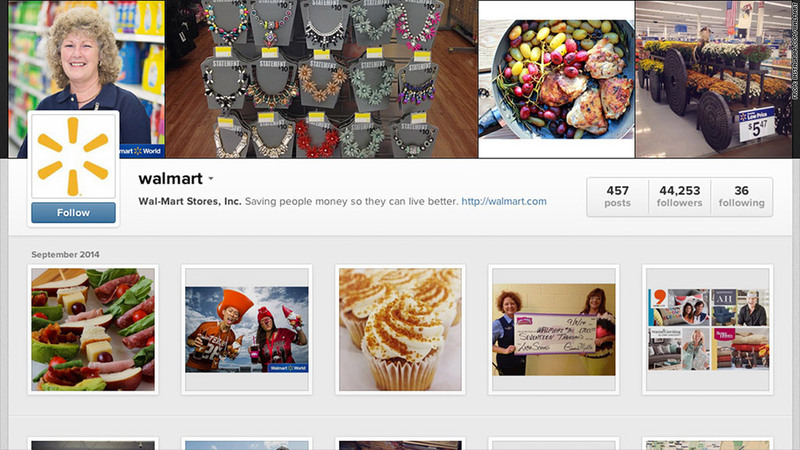 But Wal-Mart is well behind its competitors on Instagram. It has about 44,000 followers compared to Target's 362,000. Target (TGT) launched a new website in August that makes it easy for customers to buy the product they just "liked" on Instagram, but Wal-Mart currently has no way to convert its fans into shoppers. Facebook and Twitter (TWTR) are already helping retailers court shoppers. Both social networks are experimenting with a "buy button," allowing fans to easily buy an item they've "liked." Wal-Mart has 35 million "likes" on Facebook and 586,000 followers on Twitter. Systrom, 30, helped launch Instagram in 2010 and remains the CEO even though the company was acquired by Facebook (FB) in 2012. Instagram has more than 200 million monthly active users. Systrom is the second Silicon Valley CEO to join Wal-Mart's board. The company appointed Yahoo's Marissa Mayer in 2012.